Communication & Events Management for businesses, private clients and public bodies. The creation of an event gathers together all H&M’s expertise: the proposal of a creative idea and a project, its realization and management. Production: communication, music, video, detailed organization (food, drink and flower design). Exclusive and unique events (fashion shows, parties, dj sets, product launches and commercial initiatives, conventions, meetings, press conferences, ceremonies) take place in prestigious venues in Italy and abroad (show-rooms, luxury hotels, popular fairs, museums, clubs, restaurants, theaters). H&M Production partners with well-established international brands (fashion, luxury goods and automotive companies) providing their events with artists, journalists, singers, DJs and actors. 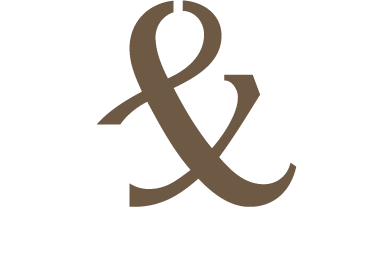 In ‘Music Engineering’, H&M Productions deals with production, mix, composition, mastering, arrangement of soundtracks for fashion shows, radio broadcastings and dj sets. With 20 years of undisputed leadership on the international market and a rich and inspired music, ranging from CD to vinyl, H&M Productions is a global market leader with the production and distribution of more than 500 ‘Deep Soulful’ and ‘Lounge NuJazz’ compilations, divided into collections like ‘Kay Rush presents Unlimited’, ‘Radio Montecarlo New Classics’, ‘Cafè Solaire’, ‘G Lounge’, as well as the production of own artists included in famous collections such as ‘Café del Mar’, ‘Bar Fly’, ‘Buddha Bar’, etc. Flagship of H&M Production core business, Videoart and Shortmovies are a chance to live again a unique events. Shots are advanced expression of creativity and refinement. Direction and editing are dealt with care and expertise by professional directors: during these crucial phases, they see and edit the material according to the narrative, rhythmic and expressive needs. Finally, the movie is synched with a customized soundtrack. Deep Flowers is H&M Productions’ subsidiary, specialized in floral design and creative event (private parties, corporate dinners, weddings, theme nights, conventions, meetings, press conferences, cultural events). Unique details will provide preciousness to the realization of your event, creating a blend of elegance, style and glamour.